Energy Equities Incorporated is a Texas corporation and pursues a policy of drilling oil and gas prospects located in areas of proven production. There are numerous leases available for drilling and development, but only a select few meet the stringent criteria of Energy Equities Incorporated. One major example of our care in finding the right Prospect is third party analysis. We get reserve analysis reports from highly respected third party engineers like Ralph E. Davis and Associates. This reservoir analyses includes P1, P2, and P3 numbers. In other words, this represents Proven, Probable, and Possible production expected from a producing property. Many oil and gas companies choose to sell these producing interests to help capitalize and develop other potential prospects. These interests are not normally made public. 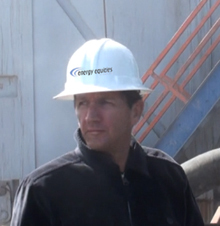 Chauncey Buck, the president of Energy Equities Incorporated, along with independent Geologists, engineers, Geo-scientists, and operators all play a big role in the company’s success. In most cases, these independent experts in the Energy Equity Group have an equity position as well. If you have a project you would like Energy Equities Incorporated to review we look forward to hearing from you. Please feel free to contact us. Energy Equities Incorporated has been in business for over 23 years.